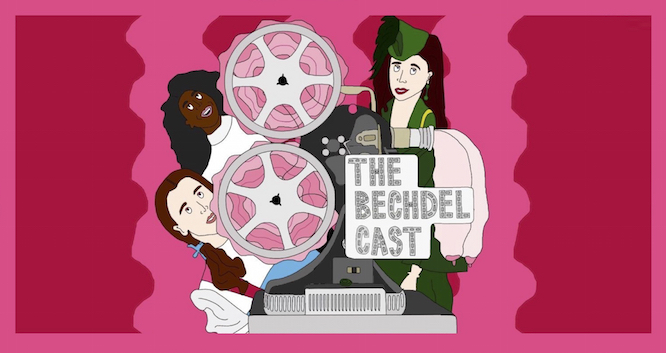 The Bechdel Cast is a podcast that examines the portrayal of women in film hosted by comedians Jamie Loftus and Caitlin Durante. Each week, they pick a movie and invite a guest to discuss how well or poorly it represents women, and of course, whether or not the movie passes the Bechdel Test (two named female characters must speak to each other about something other than a man). This podcast sheds light on one of Hollywood’s biggest problems: the under- and misrepresentation of women. The Bechdel Cast is on the How Stuff Works network and has been featured on Buzzfeed, The A.V. Club, and Vulture. They were named “Favorite Comedy Podcast” by WhoHaha’s Female Comedy Awards in 2018, and they’ve performed live shows in such festivals as The Women in Comedy Festival, the Boston Comedy Arts Festival, and The Cinderblock Comedy Festival.